Overthinking Games runs every other Monday, and is an opportunity for Malindy Hetfeld to take something about a game and think about it too much. 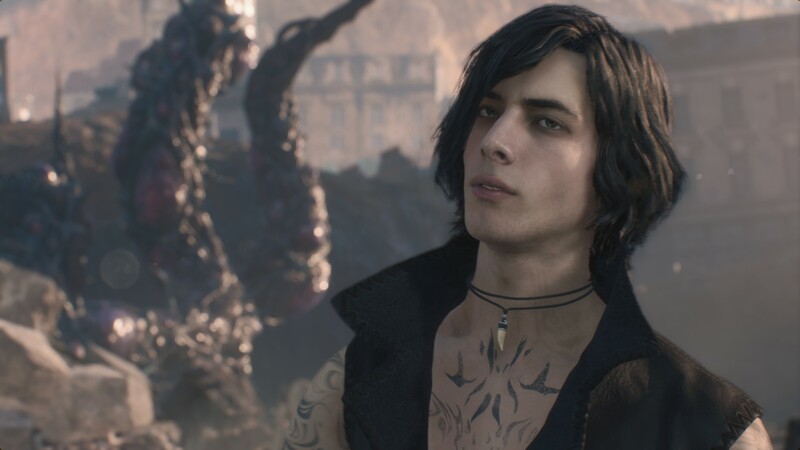 This time, she’s looking at the ways heavy metal tangles itself in Devil May Cry V.
Devil May Cry 5 is, like the entire Devil May Cry series, cool. But it’s a particular kind of cool – loud, dark and fascinated with the occult and forbidden. It’s a mish mash of all the things you thought were edgy when you were a teen: explosions, pizza, guitars, leather, hair, more guitars, a big sword. So when we’re looking for an artistic genre, a mood, a milieu that has influenced Devil May Cry, where do we look? To heavy metal, of course. The most obvious place to find heavy mental would, you’d think, be in the music. Perhaps surprisingly, DMC V’s soundtrack itself doesn’t feature loads of straight-up heavy metal, or at least the traditional kind. Even a cursory glance at the track listing reveals things like ‘Devil Trigger’ and ‘Wings Of The Guardian’, track names that would be at home on any metal album. In fact, in interviews the composers have talked about the metal influences. But the series has always mixed guitars with electronic music, be it aggrocore or synth pop. In his review, Matt described it as “electro-metal where I only catch the odd word like ‘sword’ or ‘death’.” What this musical style shares with heavy metal, however, is the desire to be as loud and as brash as possible. Sheer sonic power. This means it’s not necessarily about melody or arrangements; it’s meant to signify the release of energy, plain and simple. Like metal, it’s an act of open rebellion, of letting go because it feels good to do so and headbanging is generally frowned upon in everyday life. 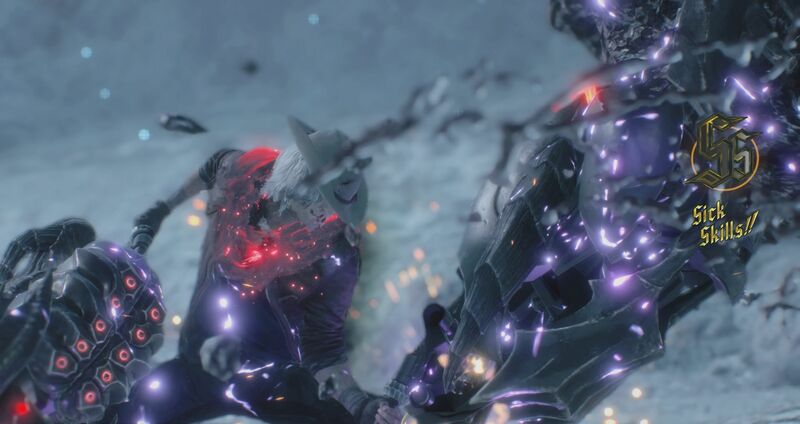 In DMC V your characters scream, blood and pus make unpleasant squelching sounds, and guns fire so loudly you can feel the bullet taking a head off from the sound alone. DMC V and heavy metal are both about feeling powerful, and in lyrics this can be expressed with harsh ideas or words that have unpleasant connotations. Heavy metal songs often trade in explicit lyrics and dark themes like insanity, war, and death. One of the songs on DMC V’s soundtrack, Crimson Cloud, begins with the singer chanting the words “Saviour! Bloodstain! Hellfire! Shadow!”, an assortment of aggressive words that reflect the themes of the game, but also sound nicely apocalyptic, all flung over a thumping beat. This attitude extends to the way DMC V describes various fiends. Chaos, for one, is described as “barbed discord”. He has barbs and is rather chaotic, so it checks out. Similarly, Death Scissors kill you with “shears of annihilation”, which definitely sounds more evil than “a really big pair of scissors”. Even more up front in its inspiration is the key art. The series abandoned and readopted a flowing script for its title art several times, experimenting with several different designs, including the messy graffiti scrawl of DmC. The DMC V logo truly looks like it could cut. It’s a bunch of heavily scratched chrome letters, covered in sharp edges and spikes. It calls to mind logos and album covers from bands like Blue Öyster Cult and AC/DC, which aren’t arbitrarily designed either. Heavy metal, and its various sub genres including black, death and thrash, has strong themes of sticking it to the man and societal conformity in general, and logos covered in spikes are an extension of this. (Indeed, in some genres the spikes overtake the letters so much that band names looking like big bundles of sticks is a common joke.) With its symmetrical Metallica-esque spikes in the logo, Devil May Cry 5 wears its influences on its sleeve. It’s also easy to spot on the actual sleeves. There’s nothing we associate with heavy metal more clearly than leather. Think of all those lads in the 70s and 80s with their big jackets: Judas Priest, Iron Maiden, Motörhead. Leather jackets are, of course, the primary attire of bikers around the world, and metal took a shine to motorbiking. With an influx of cheap but reliable Japanese-made bikes, motorbikes became lifestyle choices rather than transport choices in the late 60s and early 70s, at the same time that these bands were forming in working class cities in England. Motorbikes and metal bands were both forms of rebellion and means to freedom. Dante even has his own bike now, and you won’t catch him wearing a helmet anytime soon. The jackets in DMC V, however, are completely devoid of studs and spikes, design elements that were heavy metal’s nods to leather subculture. Rather than a deliberate statement against leather daddies, you probably don’t see studs in DMC V as much because the style here is actually more inspired by the way Japanese rockers dress today. It’s a fairly casual, androgynous look that nevertheless has its roots in visual kei, which is a Japanese genre visually inspired by hair metal. The more subdued J-rock look that eventually developed from it includes scarves and other accessories (e.g. a lot of necklaces and rings) but paired with comfortable leather jackets or coats with a lot of zippers. The cardinal rule is: as long as it’s black, it goes. 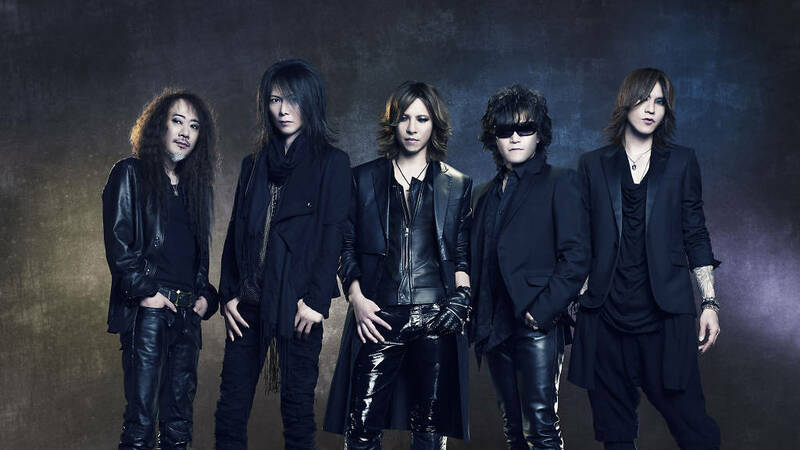 Look at X Japan’s lead singer Yoshiki or HYDE, the latter of whom recently released a DMC V collaboration single called “Mad Qualia”. Coincidence?!? Physically Nero, Dante, and especially V have more in common with current J-rockers than the Western lads, those hairy men for whom a slightly aggressive vibe was a way to give the finger to society. And hey, isn’t that what all great art does? Well, maybe. But art is basically a huge, cross-pollinating family tree of influences where one culture borrows from the other. Devil May Cry borrows from heavy metal, which in turn borrowed elements from horror, which also has roots in mysticism and religion, which also heavily features in Devil May Cry, which borrows from heavy metal, which oh no we’re stuck in a loop, somebody shred a guitar. Tagged with Capcom, feature, Overthinking Games, Devil May Cry 5. Better than the devil you know.